McDermottPlus’ Dr. Adaeze Enekwechi lent her time and considerable experience in health outcomes research to the creation of this special report and the workshop from which it draws many of its conclusions. Drawing on her background in health research to work with the National Academy of Medicine (NAM), Adaeze served on the steering committee and as a moderator during workshop discussion, culminating in a report that highlights the importance of health services research on health care policy and making the case for dedicated federal funding. 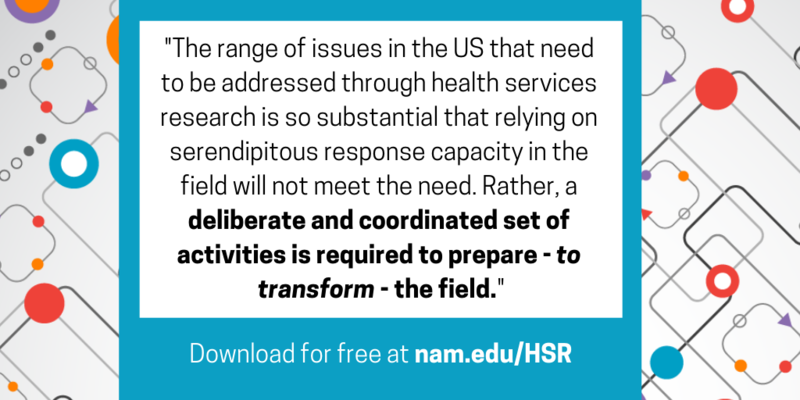 NAM, together with AcademyHealth convened a workshop in February 2018 to explore ideas around this very topic. Centered on discussions from the workshop , the special publication describes the significant impact that health services research has had on health care quality, access, and value as well as future priorities for the field. Increased and sustained federal and nonfederal funding is required to support the priorities identified over the course of the workshop.